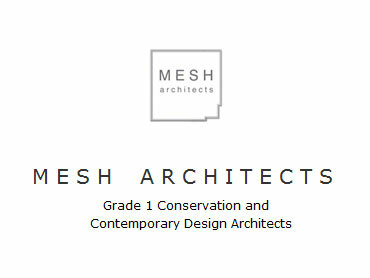 MESH Architects is registered as a Royal Institute of the Architects of Ireland (RIAI) practice with Grade I Conservation Accreditation. We are a collaborative architecture practice based in Middle Abbey Street, Dublin 1. The practice was cofounded in 2007 by Thomas McGimsey whom is the practice principal and MESH Architects currently employs four professional graduates. Our skills also allows us to design new Contemporary Architecture. 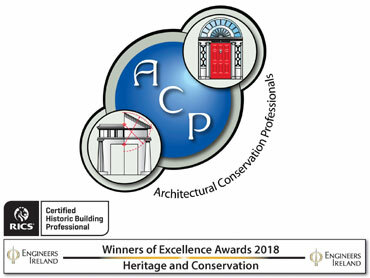 ACP is a multidisciplinary, award winning, Built Heritage Consultancy with extensive experience in the conservation and management of historic structures and buildings in Ireland, England and overseas. ACP have worked on over 600 projects since we were established in 2000 for private clients, charitable organisations, government departments and public authorities. We have over 15 specialist consultants within the practice including conservation architects, engineers, surveyors and interior specialists.